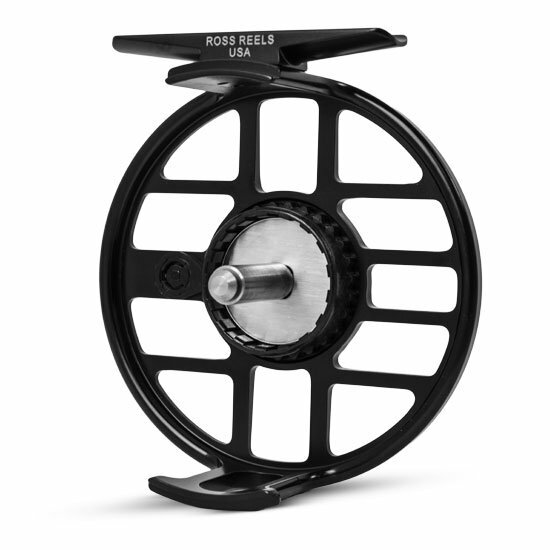 This week MidCurrent editor and publisher Marshall Cutchin discussed the surprise early arrival of Ross’s new Cimarron II fly reel with the company team. The release continues more than three decades of commitment by the brand to moderately priced but high-performing reels. MC: Tell us about the design of the new reel. It’s pretty funky and cool. Bart: Our engineer up until recently hasn’t been a fly fisherman, so he hasn’t been “tainted,” as I like to say. He kept calling the porting on our reels “windows,” and then he started thinking of Frank Lloyd Wright. We just threw it at him to redesign the reel and that’s what he came up with. We all loved it. MC: I’m holding a prototype in my hands right here and it is really elegant. It seems more of a design statement than an engineering feat, although you can certainly feel the engineering is there. Especially compared to the older Cimarrons, which seem very much a like a meat-and-potatoes concept now. The drag system looks very simple, but very well thought out. Is this brand new or does it borrow from your other designs? Bart: It’s actually an improved version of the CLA drag system, which it is replacing. It’s the most reliable one we’ve ever produced with a .005 percent failure rate on 53,000+ reels. We’ve put in upgraded components, such as the stainless steel thrust plate and then we’ve engineered new polymers inside the drag to give it that ability to handle increased pressure. We’ve effectively doubled the previous drag strength with no loss of reliability. MC: The old click pawl design is gone, of course. Of all the click sounds that I’ve heard on a reel, this is a happy medium—not too loud that it is annoying but you can always hear it. So the first Cimarron was introduced 35 years ago or something, right? David: We introduced the the Cimarron about ‘87-88. It’s been part of our company to name reels after important watersheds of our state (Colorado) and that’s remained a cornerstone of the brand. MC: So when the CLA came out was when changes were made to the drag system? David: That’s correct, and the 2016 platform is significantly better. MC: Any plans to do a “large arbor” version? What is the philosophy on larger arbors these days? Bart: I would call this a “mid-arbor.” We’re in between a mid- and a large-arbor on this version. What a lot of folks now call “large arbor” are what we used to call “ultra-large arbor.” We tried to find that middle ground between having that great retrieval rate but also not having the customer spread the line across the face of the spool, in order to avoid binding. When filled to proper capacity with backing, you have what I consider a large arbor, which is really going to reduce line memory, and the pickup rate is exponentially higher than the original Cimarron and even higher than the CLA. MC: It seems like what we used to call the large arbor is pretty much the default version of every reel now isn’t it? David: I’d say that’s fairly accurate. MC: I know a lot of people used the CLA for saltwater. Looking at this reel and holding it in my hand I could easily see using it for saltwater applications, for a bonefish reel in the larger size. Do you have expectations for people to use this in saltwater? David: Absolutely. It was our intention to make the drag strong enough on that 5-6 to use for bonefish, even though the primary use in that size is for freshwater. Bart: The nature of the drag system is that it is not a sealed system. It’s a “semi-sealed” drag. Big particulates aren’t going to get in affect it, but water can go right through. That’s very beneficial in saltwater because at the end of the day you can rinse the thing out and you’ve flushed the entire system and you are ready to go the next day, whereas with a lot of so-called “sealed” systems, anything gets inside there and your drag is toast. Craig: We’ve looked at a lot of “sealed” drag systems and determined that most of them are really not 100-percent sealed. It’s a misnomer in a lot of cases. MC: Looking at your web page for the new reel is almost like looking through a microscope. The level of detail you show is incredible, for example in the handle. You can’t get a closer look than that. David: We wanted to show that everything we make we make for a reason. The images reflect the level of detail we go into on every part of the product. Even with the handle, the design, material and finish are very specific. Bart: That’s spot on. 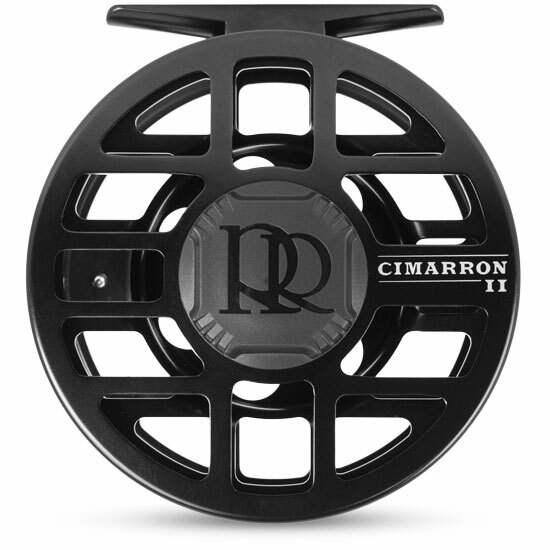 Especially with the “value-priced” reels, a category the Cimarron II falls into, everyone is looking at their bottom line and the costs to produce it, often times not even thinking of those fine details. Now that we are back to being a small company we are very nimble, and have a great design team. That allows us to actually take the time to be sure all those tiny details are considered. It’s because of this that this reel has features on it that you see on a reel at twice its price point. MC: That’s really always been part of the Ross brand message, hasn’t it: “We think these things through very carefully”? That every aspect of design has a purpose? So tell us a little more about where Ross is in its “rebirth,” so to speak. David: We’ve gone back to being a small business. Our pulse is back on the market and what consumers want. We are faster to respond and more accessible to dealers. Our plans are to come out with five products over the next twelve months. You’ve got the Animas, Ross Rapid and the Ross Eddy already shipping, and now the Cimarron II. Going forward, our goal is two to three new products per year over the next five years. Craig: We’ve got some exciting things in the pipeline. This Cimarron II wasn’t supposed to be out until January 1, 2016 but we’re getting it to dealers five weeks early shipping in all sizes. We’re excited about being responsive to what dealers and customers want and delivering ahead of schedule. MC: Are you planning more redesigns of old classics? Craig: Take the San Miguel, for example. It was a very iconic reel for Ross, and a very expensive reel in its time period. The crazy thing about it is that they are still selling on eBay for what they originally sold for. It’s a testament to the strength of the brand and the quality we produce. Is the right path for us to produce a replica product but with updated componentry and more modern technology, or do we take that name and leverage it in a new, modern product? Sometimes, that’s a tough question for us to answer. MC: I bet you’re also thinking about issues like: How to do we produce a reel in anodized aluminum that weighs the same as the old one did with stamped metal? Or how do we use the new materials and match the function and form of the older models? Bart: Both machining and materials have come a long way. But if it is a true “heritage” product, that’s what people want. If we update for example, the drag, and are still maintaining the essence of what the original reel was, then I think we are on the mark. So with the new Cimarron II, we have the same reliability, but added form and function. Craig: 2014 and 2015 we thought of as brand-rebuilding years. You had this generational gap between people who grew up with Ross and really love the brand, and there was this in-between period when the brand was part of a mega-corporation where nothing really happened and Ross wasn’t as personable of a company. Now we’re getting back to that. Now our dealers know us individually by name again and we can have those personal relationships again with customers and shop owners. David: We have a different philosophy on what is important now, and that’s a good thing. It tells the story of what Ross is today, which is our willingness to execute on new designs and deliver them quickly. MC: Do you think some of that has to do with the fact that you are doing everything “at home”? David: Absolutely. When the engineer can talk to the sales team who can talk to the machinist who can talk to the assembly team who can talk to the anodizers… it all gets done because everyone is here. It’s very synergistic. Craig: For all USA-branded products we don’t wait on anybody. We are doing it under one roof. Keeping it here not only makes us better, but also sustains important American jobs.